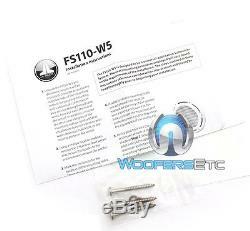 FS110-W5-SG-TB - JL Audio 10 M10W5-4 Loaded Sealed Marine Enclosed Subwoofer (BLACK). 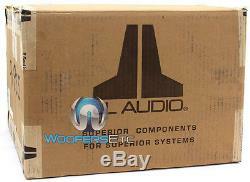 10 Single 4 ohm Marine Subwoofer. 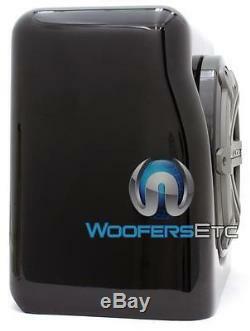 Injection-molded, mica-filled polypropylene cone woofer provides excellent durability. Synthetic rubber surround for Very long linear excursion. Polymer basket and grille with stainless steel back plate. Specifically optimized for infinite-baffle applications. Proprietary Dynamic Motor Analysis (DMA) technology reduces distortion and improve sound quality. Vented motor design for ultimate reliability. Marine-Grade, stainless steel rear diffuser plate keeps the voice coil cool. Specifically engineered Centrex polymer baskets for corrosion and UV-resistance. 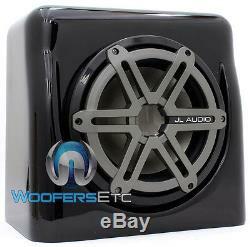 Titanium/Black sport grille for superior woofer protection. Marine-grade fiber spider with progressive roll design to withstand humid environments. 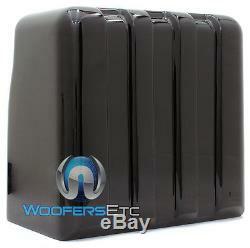 10 Sealed Marine Subwoofer Enclosure. 100% Fiberglass construction provides ultimate durability. Smooth gel-coat finish will withstand the harshest marine environments. Sealed enclosure design is optimally matched to the M10W5 driver for clean, extended bass performance. Dimensions: 10-1/2"D x 15"W x 14-7/16H. You will be issued a Return Authorization Number. In order to maintain an inventory of 100%, Brand New, A-Stock, untouched products, all sales are final. We ask that you please be sure you are ordering the correct product. 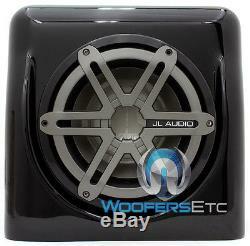 The item "JL AUDIO FS110-W5-SG-TB 10 M10W5-4 LOADED MARINE BOAT ENCLOSED SUBWOOFER BLACK" is in sale since Monday, June 15, 2015.